Most property managers and seasoned investors realize that their homes cannot remain perfect forever. As a property manager, I think it is important for property owners, especially new investors, to know that general wear and tear comes with the territory. Real Property Management Select strives to provide our tenants with a safe, clean, and well-maintained home. At the same time, we also want to ensure that the property owners have the peace of mind that comes with knowing their properties are being well taken care of. With that said, it is important that we have a realistic expectation of what the tenant is ultimately responsible for. As much as some owners would like, we cannot charge tenants for every scratch, ding, or dying plant. Knowing the difference between damages the tenant is responsible for, and general wear and tear can be a daunting task for owners trying to manage their property on their own. Settling a security deposit and charging tenants for general wear and tear repairs can also get you into some legal hot water. Fortunately, at Real Property Management Select we have a number of ways to keep damages and wear and tear to an absolute minimum. It is important to perform a thorough inspection of the property to establish a baseline condition of the premises. Real Property Management Select uses the most up-to-date technology in the industry. Inspections are conducted on an app, which is synced and integrated into our system at our main office. With this inspection we provide plenty of photographs. Every photograph has a description provided. Once the inspection is complete we can upload the document with all the pictures and detailed notes to the owner portal on our website. This way our owners have total access to every inspection performed. This first inspection is of utmost importance to maintaining the condition of the property. It’s important to find qualified tenants and to perform thorough background checks on all applicants. This includes landlord references. We also check credit, eviction history, criminal history, and employment. However, checking landlord references can give us an idea of how well the applicants took care of their previous residences. Conducting regular inspections, quarterly or every 6 months at the very least, is incredibly important. I cannot stress this enough. Periodic inspections help us to protect the owner’s investment while also providing comfort and security to the tenant. We encourage tenants to report maintenance issues in a timely manner and we make it easy for them to do so. Whether it is water leak or a fallen fence, RPM Select wants to know about it right away so we can take the appropriate action. We don’t want to let a small problem grow into a huge and costly one. This is why we give tenants multiple outlets to report maintenance issues. Real Property Management Select has a 24 hour maintenance hotline. This way a RPM Select representative can create a work order that we can track so we can make repairs and respond in an efficient manner. Tenants also have the option of creating a work order themselves through the tenant portal on the Real Property Management Select website norcalpm.com. Offering a pre-move-out inspection to tenants on their way out can be helpful for everyone involved. 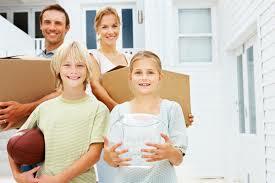 We generally try and schedule our pre-move-out inspections about two weeks prior to the scheduled move out. These pre-move out inspections give the property manager and the tenant a basic understanding of what is expected from each other. The tenant is given a list of items that need to be repaired before move out to get their entire security deposit back. At this time the property management representative can also inform the tenant what items can be considered wear and tear and what issues the tenant will be responsible for. The link below is a wonderful resource for landlords and tenants alike. This handbook can help you know your rights and give some basic guidelines of what should be expected from both parties.